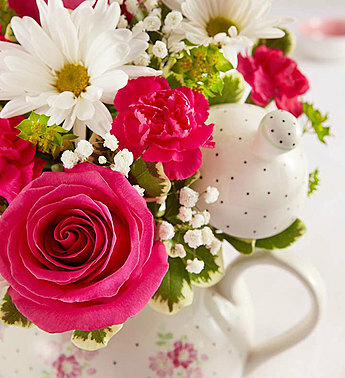 EXCLUSIVE Moms of all ages will be delighted by our charming keepsake! 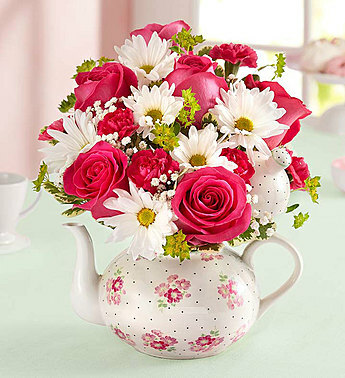 A vibrant arrangement of pink roses and carnations, white daisies and more is hand-designed inside our exclusive “Timeless Teapot” featuring intricate details and our original floral pattern inspired by an English country garden. “When I was a child, my mom and I would have tea every day after school. 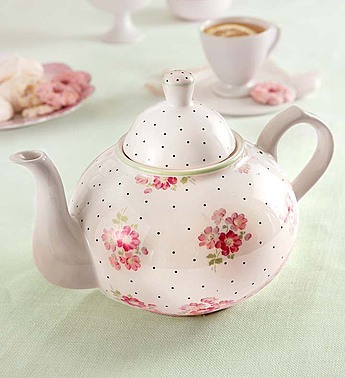 Now when we get together, she serves it in her favorite new teapot!” says Danielle from our Product Development team.